The Project Power Box RS Phono is a specially designed upgradable power supply for the Pro-Ject Phono Box RS. The typical level of signal output on a noving coil (MC) cartridge is about 0.2mV which makes it incredibly vulnerable to all kinds of noise and electrical interference. 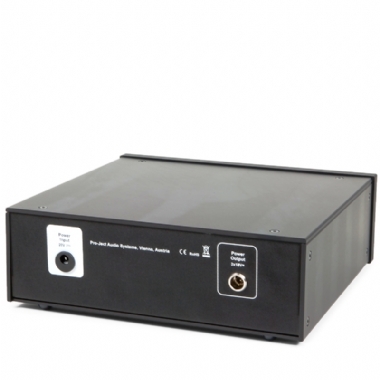 The Power Box RS Phono is optimised to deliver the purest and cleanest power source to the phono preamp by utilising a battery power output to reduce mains interference and offer maximum sound quality.